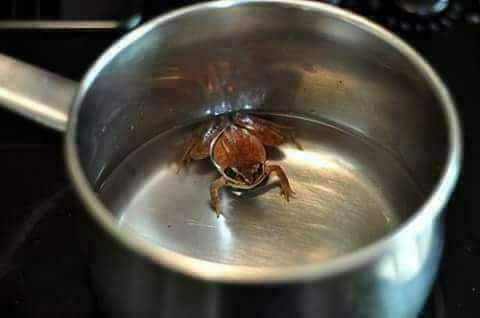 Put a living frog in a water-filled vessel and start heating the water - As soon as the water temperature starts to grow, the frog will adjust its body temperature according to water and will continue till Water temperature does not reach "boiling point". As soon as the water tanker reaches the boiling point, the frog will not be adjusted according to the water tanker of its body and will try to get out of the vessel, but will not be able to do so because the frog will have its own energy It would have been done to adapt "according to the environment"
"What's that that hit the frog?" There are many moments in our lives too when we have to adjust ourselves according to circumstances, but while doing so, when you have to adapt yourself to situations and situations according to your own. If we give others the opportunity to play physically, emotional, financially, spiritually and mentally, they will do so. So decide to "jump" while staying time and energy .... and avoid whipping everywhere every time.